Equatorial Guinea To Host Economic Forum in Washington, D.C. 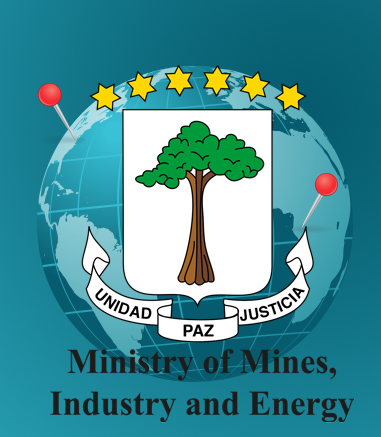 The Ministry of Mines, Industry and Energy of the Republic of Equatorial Guinea will host an economic forum in partnership with the Corporate Council on Africa and Greenberg Traurig, LLP in Washington, D.C. on August 8, 2014. The economic forum will provide insight on the country’s commercial activity, present investment opportunities, and introduce investment incentives to attendees. The panel will discuss the President’s Horizon 2020 development program, and the next steps towards reaching the objectives of PEGI 2020. Equatorial Guinea will bring experts from several economic sectors to showcase the different opportunities that it has to offer, to accelerate economic transformation and maximize the country’s resources. Presentations and discussions from government representatives will serve as an opportunity to showcase government’s commitment to fostering an enabling environment for foreign investment from the United States. President Obiang Nguema Mbasogo will address the forum and welcome business leaders, investors, as well as political leaders from the United States and Africa, who will be in the capital for the U.S.-Africa Leaders Summit hosted by President Barack Obama on August 4-6. The Equatorial Guinea delegation will hold three sessions during the economic forum: 1) international cooperation, where Agapito Mba Mokuy, Minister of Foreign Affairs and International Cooperation, will address the audience and discuss the partnership between the United States and Equatorial Guinea; 2) planning of resources as a key factor for social development, where guests will learn about the country’s strategic Horizon 2020 development plan, health system and other institutions; and 3) diversification, an opportunity for partnership aimed at sharing information about the country’s business environment and investment opportunities in the agriculture and forestry sector. The impact of social programs executed in partnership with U.S. corporations will be discussed at the forum, including the Marathon Oil-led Bioko Island Malaria Control Project, Hess Corporation’s Program for Educational Development of Equatorial Guinea, and Exxon Mobil’s Bioko Biodiversity Protection Program. The Republic of Equatorial Guinea officially joined the Community of Portuguese Language Countries (CPLP) at the 10th Summit of Heads of State and Government of the CPLP held on July 23, 2014 in Dili, East Timor. “The Heads of State and Government adopt the adhesion of Equatorial Guinea as a member State of the CPLP, reiterating the commitment of the community to continue to support the authorities in full compliance with the statutory provisions of the CPLP, in terms of adoption and the effective use of the Portuguese language, the adoption of the moratorium on the death penalty until its abolition, and other interests of the CPLP in the national legislation of Equatorial Guinea,” stated the Dili Declaration, which was signed by the CPLC attending presidents. During his remarks, President Obiang talked about the historical ties between Equatorial Guinea and the lusophone community as one of the reasons his country joined the organization, as well as the need to strengthen trade and cultural exchanges with the states of the institution. President Obiang recalled that Equatorial Guinea was under the rule of Portugal from 1648 to 1778, when it was transferred to the kingdom of Spain by the treaties of San Ildefonso and El Pardo. Equatorial Guinea now joins CPLP members Angola, Brazil, Cape Verde, Guinea-Bissau, Mozambique, Portugal, São Tomé and Príncipe and East Timor. 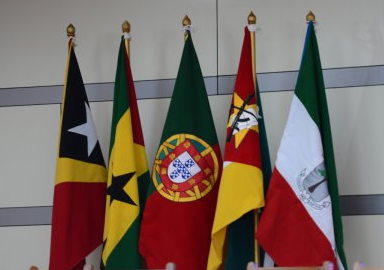 During the summit, the presidency of the CPLP passed from Mozambique to East Timor, whose President will lead the Portuguese-speaking community until 2016. Equatorial Guinea is the sixth African country to join the CPLC, which was founded in 1996 and now has nine member countries. The summit aims to promote cooperation among the member countries. Equatorial Guinea has been an observer nation since 2006. Portuguese will become the third official language of the country, following Spanish and French. Under the theme “The CPLP and globalization,” the CPLP recognized the need to provide the CPLP with a strategy on economic and business cooperation to identify possible mechanisms for the support of investment and business within the Community with a view to energize the insertion of the CPLP in the context of Globalization. Equatorial Guinea’s President, Obiang Nguema Mbasogo, will join African Heads of State at the inaugural U.S.-Africa Leaders Summit aimed at fostering stronger ties between the Untied States and Africa, both economically and politically. The summit will be held in Washington, D.C. on August 4-6, 2014. Under the theme “Investing in the Next Generation,” the summit will provide an opportunity to discuss ways of stimulating growth, unlocking opportunities, and creating an enabling environment for the next generation. African heads of state will discuss continent-wide issues, such as security and terrorism, with United States President Barack Obama and promote regional initiatives such as shared electricity. This summit will highlight America’s commitment to Africa’s security, its democratic development, and its people. In a recent interview with Voice of America, Erastus Mwencha, deputy chairperson of the AU Commission, said the summit will provide Africa and the United States an opportunity to enter into a strategic partnership. He also said African leaders look forward to discussing with President Obama issues such as investing in the continent’s future and peace and security. This summit is the first of its kind. This is the first time that most African heads of state will be in Washington, D.C. at one time. All but Zimbabwe, Central Africa Republic, Eritrea, and Western Sahara of the 54 nations of Africa have been invited and most are expected to attend. President Obiang has led many youth initiatives in Equatorial Guinea and has made education, training and human capital investment a top priority for its government. Special attention has been paid to the next generation, and the government has promoted conferences and events around this subject. At the Youth Congress, held in 2010, attendees discussed the many challenges facing Equatorial Guinea's youth and formulated recommendations to address numerous areas of concern, including access to low-income housing and higher education for the country's citizens.